According to a survey conducted by AdAge.com, Facebook is growing up. What started as a fledgling attempt to increase revenue by offering limited and coarse advertising has become nearly akin to Google Adwords. At least, according to some of the social media marketing experts. What does that mean for healthcare marketing on social media? It means you better have a Facebook presence. The AdAge.com survey has found a steady increase in the amount of companies and advertising agencies utilizing Facebook advertising in their ad campaigns. Not only are more advertisers utilizing Facebook advertising, more respondents to the survey reports seeing a greater Return On Investment. 43% of respondents reported that their ROI on Facebook had "dramatically" or "somewhat" improved during the last six months. (About 48% said it hadn't changed, and 9% said it had deteriorated.) And when asked to rank six online advertising sites in order of importance, Facebook ranked a close second to Google. What has contributed to the increase in ad dollars being spent in improved ROI? According to the survey, respondents are seeing more advertising options, greater targeting choices, and more control of where their ads are being placed (aka: mobile vs desktop, news feed vs right side). Perhaps most significantly, 56% of respondents outright said that they expected their Facebook ad budgets to increase over the next year, which is consistent with the previous surveys. Facebook advertising is an incredibly powerful tool to increase brand awareness, acceptance, and ultimately click-throughs to your physician or hospital website. When used efficiently, you can effectively drive extremely targeted traffic to your website, or online campaign, for as little as $0.20 per click-through. 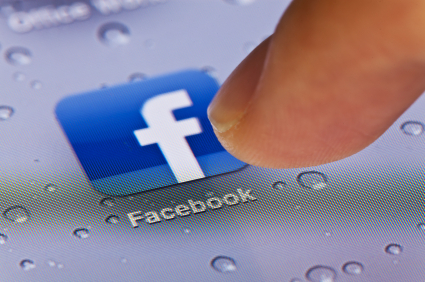 Quaintise Facebook Ads run high on ROI and low on cost per click. Want to know some of our secrets to low cost and high ROI with Facebook Ads? 1. Know Your Target Audience: If you learn nothing from this article, learn just this one thing – the key element in keeping Facebook ad costs low and ROI high is to understand and appreciate your target audience. You must be a target market ninja with an uncanny grasp of what interests your audience have, where they live, where they shop, what TV shows they watch, magazines they read, brands they buy, and cars they drive. All of these details and more can be exploited with Precise Interests and Broad Categories – two elements of Facebook Advertising that give your ad unlimited potential. 2. Know Your Message: Never lose sight of your message – stay true to that message through every single ad campaign. Develop 90 characters that will convey that message and provide a strong call to action, with a 25-character headline that will grab everyone’s attention. If your ad goal is to get more Likes, then ask for Likes. If your ad goal is to drive traffic to your website, ask for clicks. If you build it, they will come. Well, on social media, if you ask it, stats show they will do it. 3. Impact Image: The perfect image will drive more traffic, plain and simple. No matter what your campaign is regarding, the ad image needs to be impactful, emotional, relevant and touching. It needs to reach people on a deeper level, subconscious level. While the text needs to be strong and almost forceful, the image needs to be soft, inviting and moving. These three elements of Facebook Advertising will bring your costs down and increase your ROI. With the right words, the right audience and the right image, your ad will have high conversion rates, which will help to lower your cost-per-click. Still have questions? Ask the social media experts at Quaintise.